These are overviews of Hub pilots, primarily using 'shared service-learning projects' added to George Mason University Health Comm courses. 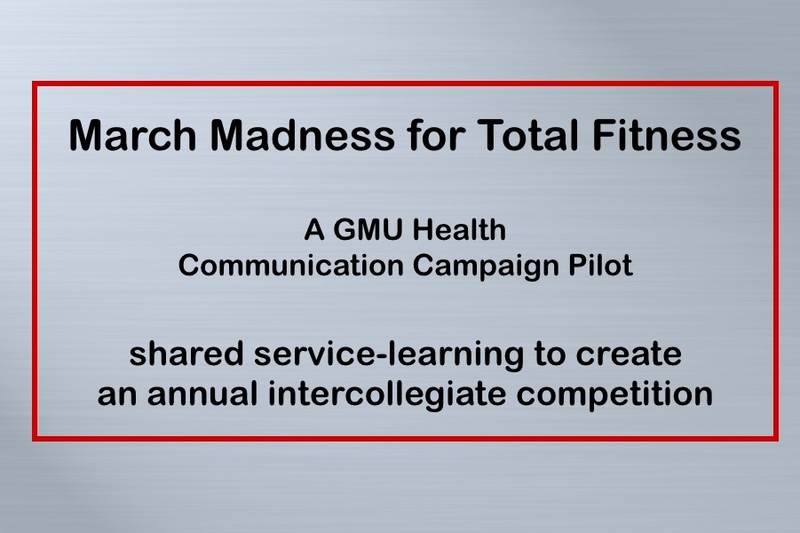 This was a 4-course (graduate & undergraduate) pilot, to test the use of a shared service-learning project added to existing courses to develop an intercollegiate fitness challenge to coincide with March Madness. 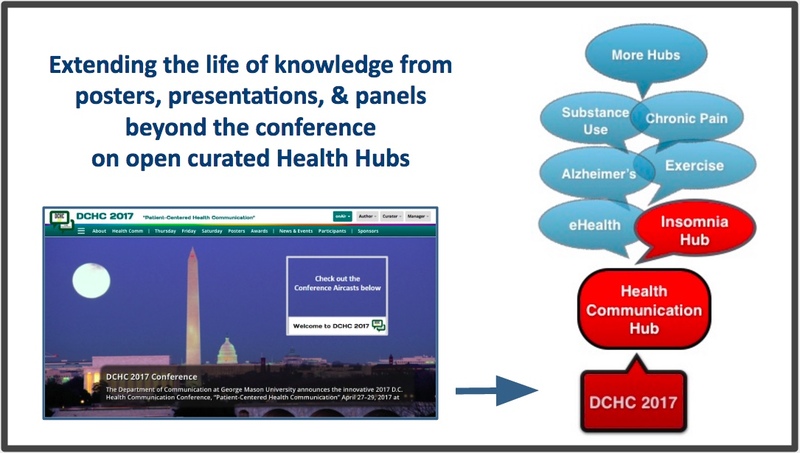 Collaborating with the GMU Department of Communication, onAir piloted possible ways to leverage Hubs with the DCHC 2017 conference. As a proof of concept, participants had the opportunity to develop their own profiles and blog posts as well as participate in Live Aircasts to spotlight their posters, presentations, awards, and panel discussions. 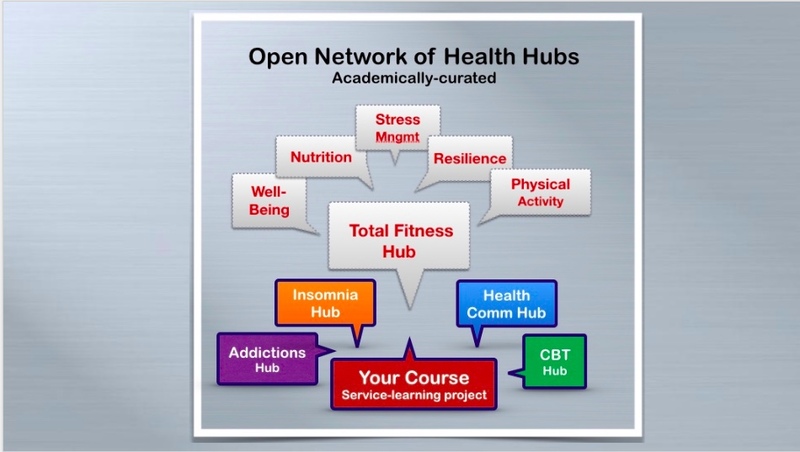 Imagine a ONE Social (Open Networked Education) hands-on interprofessional training in - how to share what works and where to find it - which creates an academically-curated Open Network of Health Hubs for the public. 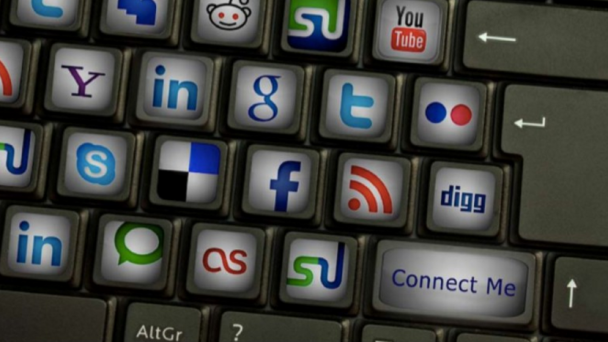 Improve interprofessional mass health communication competencies? 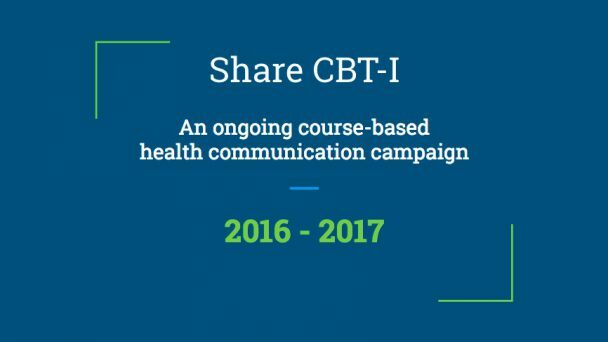 Create one common bridge between clinical practice and vetted resources? 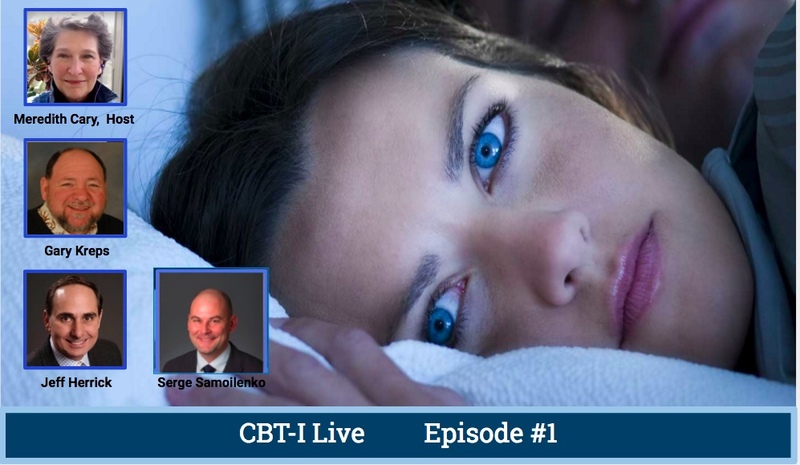 Increase awareness of, access to, and consumer demand for evidence-based practices? Lead intercollegiate fitness challenges to improve community health?